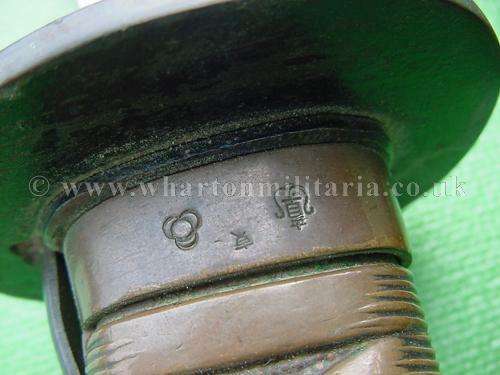 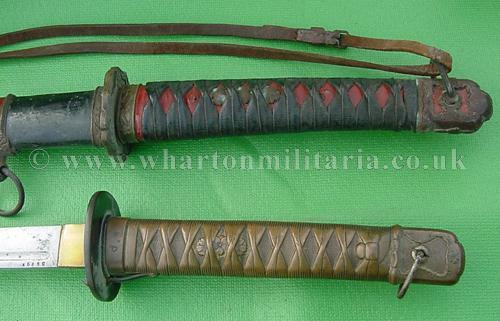 Two WW2 Japanese swords, one an NCO's true copper hilted type 95 katana, only the early original army swords had copper hilts, later, the majority of the 1935 pattern had aluminum hilts with copper coloured paint. 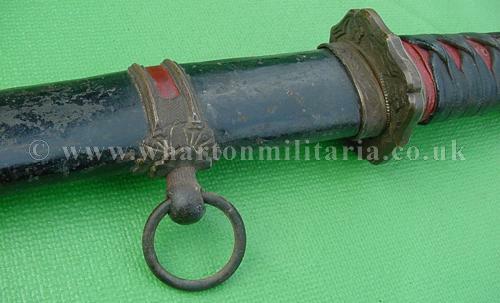 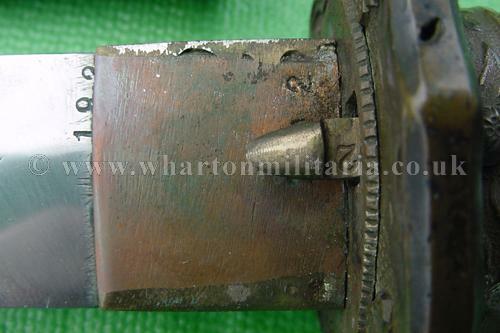 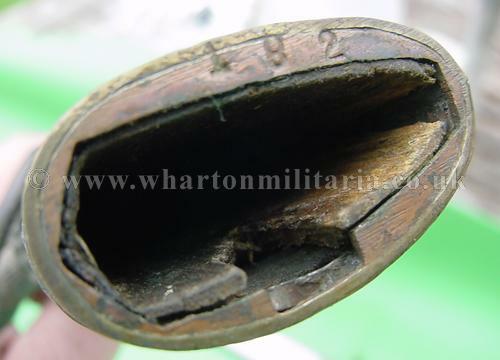 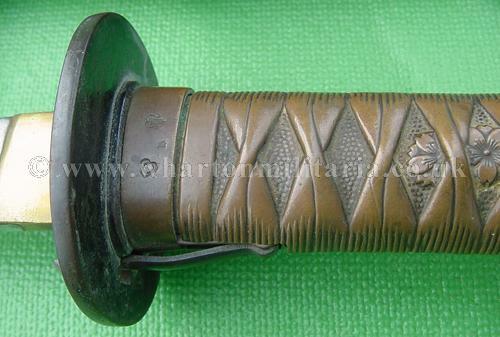 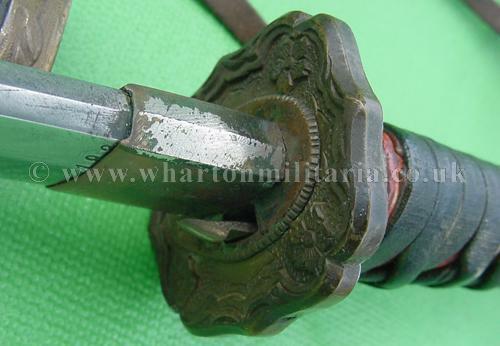 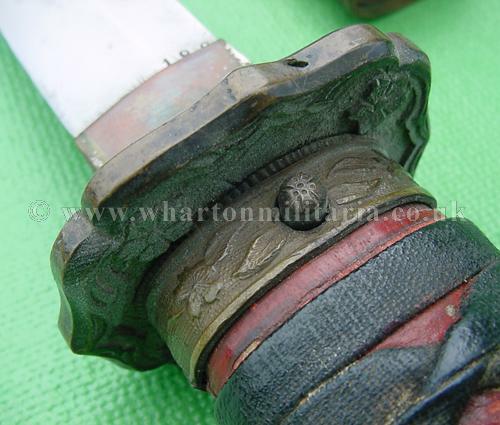 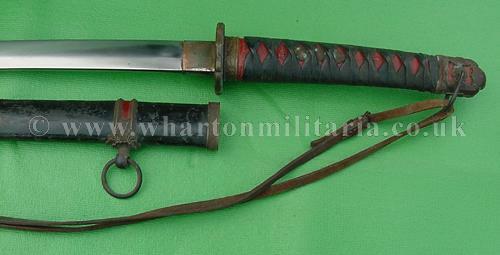 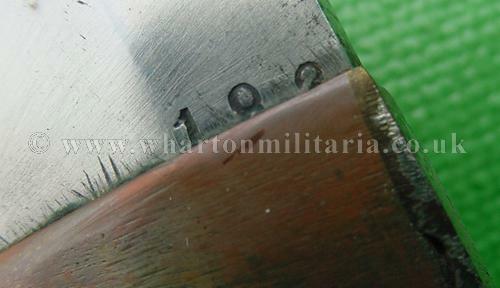 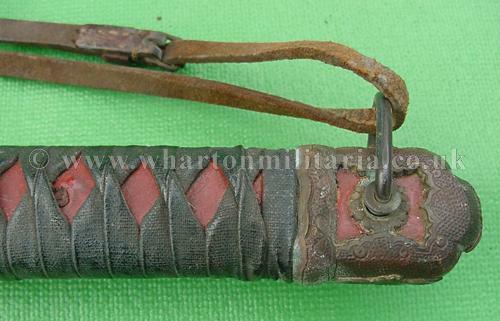 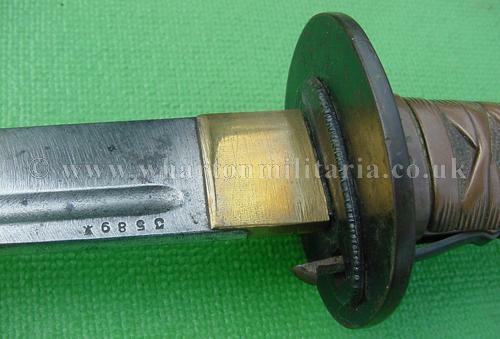 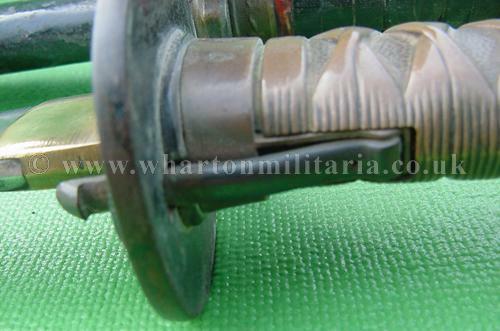 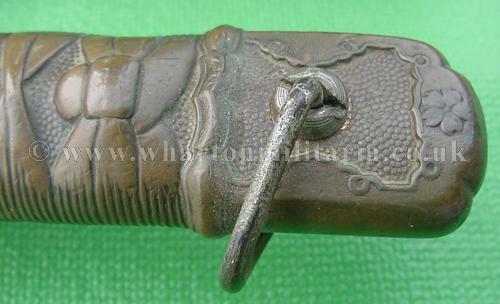 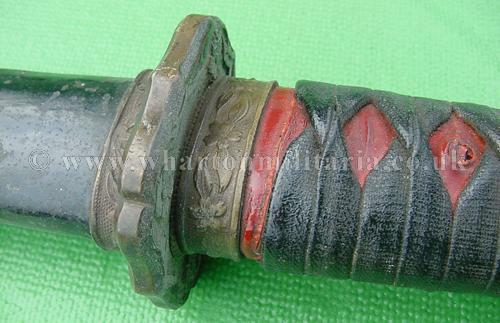 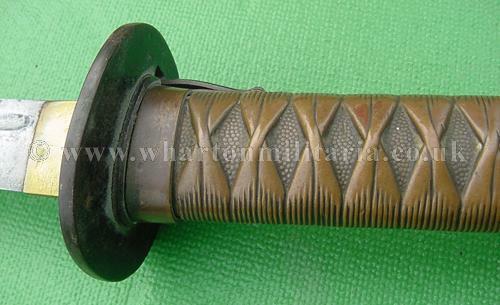 These early NCO swords are scarce and much harder to find than the common painted aluminum hilts. 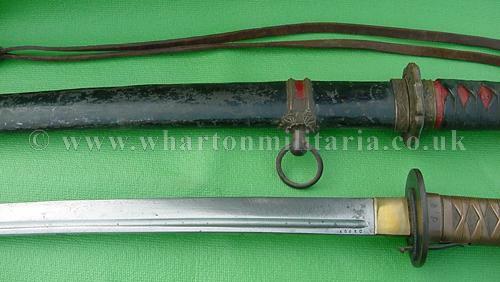 Sadly no scabbard, as it was brought back. 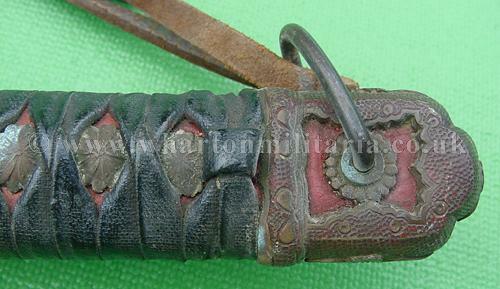 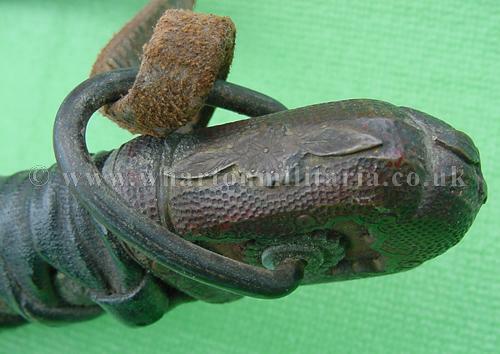 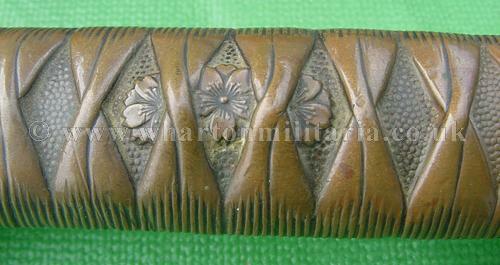 NCO sword now sold, Officer's sword priced unresearched.